A PvP gyro-controlled shooting game for iOS based on the Happy Tree Friends brand. After the game's initial release, I led an revamp of the main game UI. The new design improved usability and accommodated new features such as live Events, while still maintaining the visual style of the Happy Tree Friends brand. Old main screen UI. iPhone 5 view. In the original UI design, all the information was shown on screen at the same time, resulting in a design that was hard to read and navigate . In the revamp, I wanted to clear out more space on screen, which serves to highlight the Play button and important info such as streak count, as well as showcasing the beautiful animated backgrounds. The player could access additional information such as achievements, leaderboard rankings, and player stats from the sidebar, which would bring up a panel when tapped. Typeface and color changes helped to increase legibility and make text information better integrated stylistically with the rest of the art. 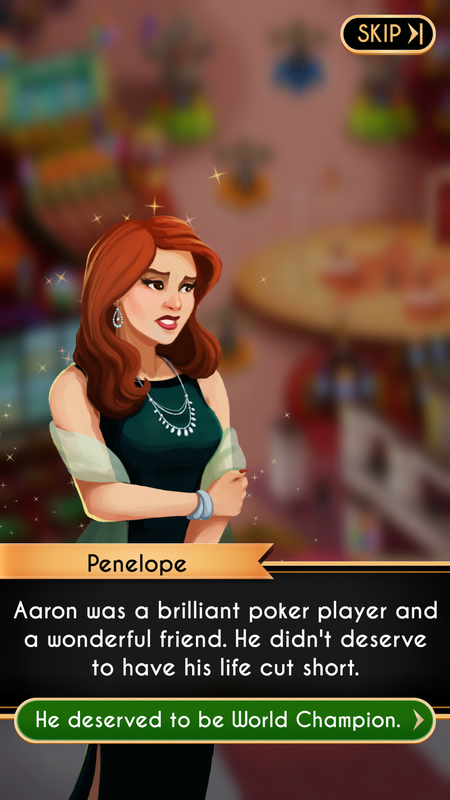 A Poker/Casino-themed puzzle game. 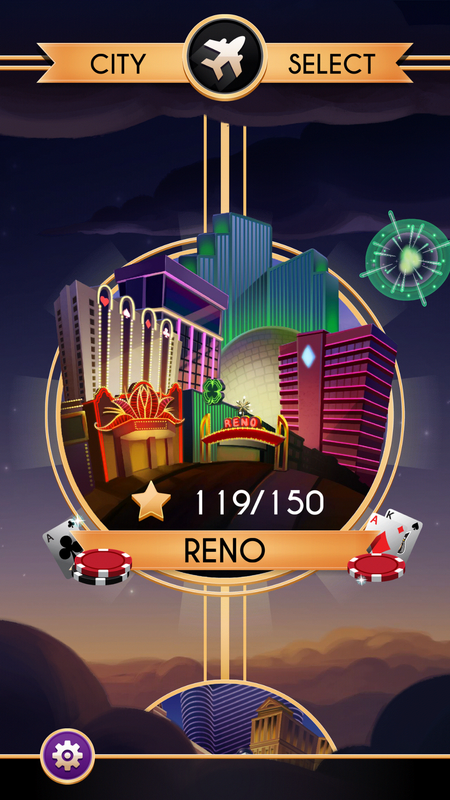 Some unique features of Vegas Aces were the expansive cast of characters and the dramatic storyline. I was responsible for designing the dialogue UI and City Select screens, making sure my designs fit within the style set by our lead UI artist. For the dialogue screens, it was important to differentiate between plot-related and non-plot characters. The player needed to know what dialogue was important to story and what was less important.